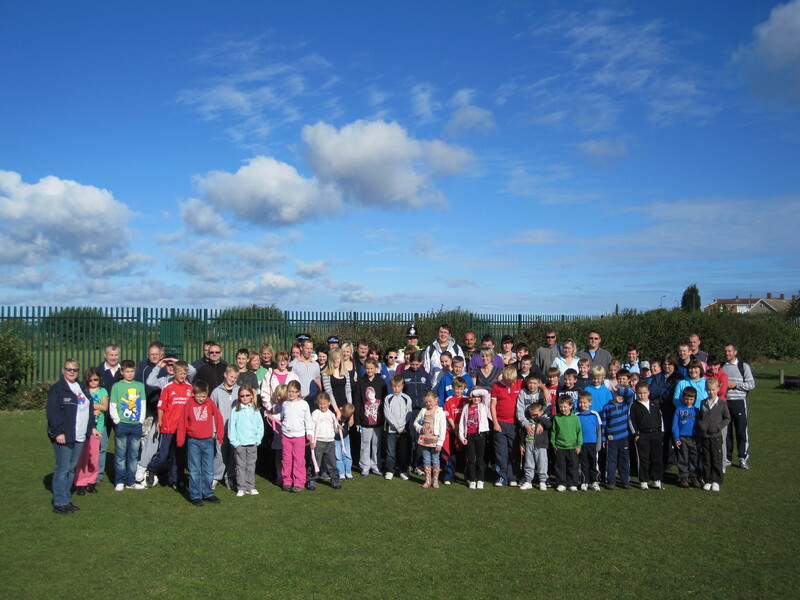 Every year we hold an annual sponsored walk to raise funds for our club-only championships. This event helps reduce the entry fees for the competition but more importantly its a great team building exercise. 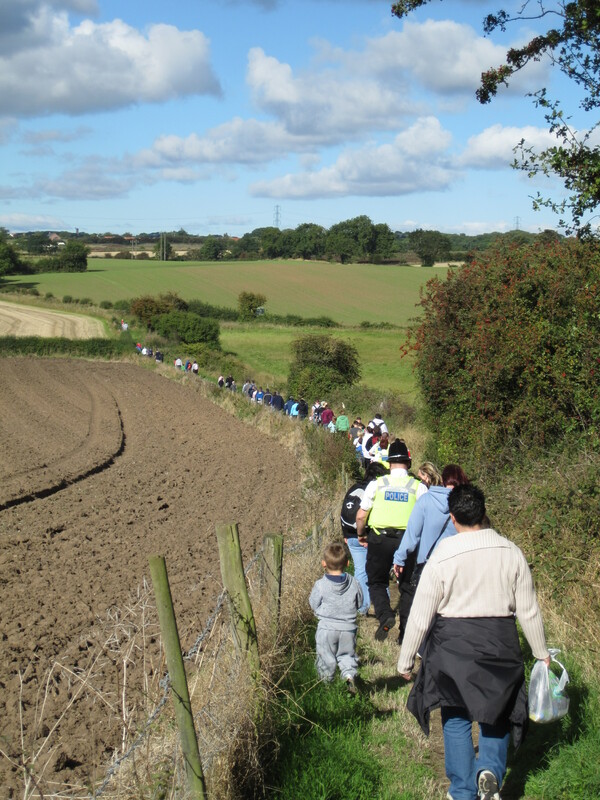 This years sponsored walk was supported by 80 members of the club and their families. We also had the local Police Beat Team come along consisting of PC Keith Robinson (Park, Elwick & Dalton Ward), PCSO Cath Jones (Park, Elwick & Dalton Ward), and PCSO Ian Heslop (Rift House Ward). The weather was thankfully cooperating and it was clear skies all day. We met at Owton Manor Primary School and most of us had time for a quick cup of coffee whilst the stragglers turned up. Once everyone arrived we took some group shots and got started on the walk. After a few minutes we arrived at one of the country lanes and from their onto the public footpath across the fields to Dalton. We had a short rest there and then headed along the footpaths once more, this time towards Summerhill. 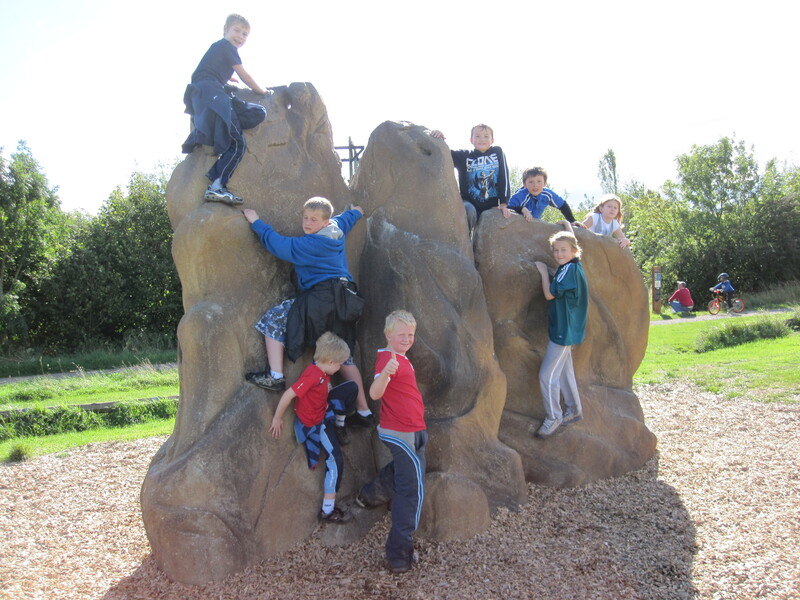 All the kids immediately hit the climbing boulders, rope swings and slides of the park whilst some of the older ones took a cat nap. 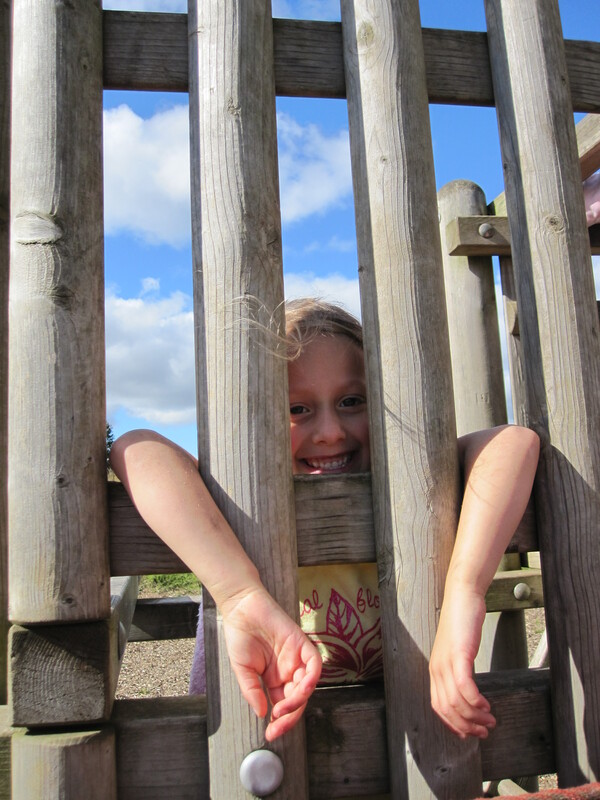 Some of the kids were just too much trouble… so we had to lock them up! When everyone was starting to get a little hungry, we walked along the footpath and back to the school for hot dogs, burgers and drinks. 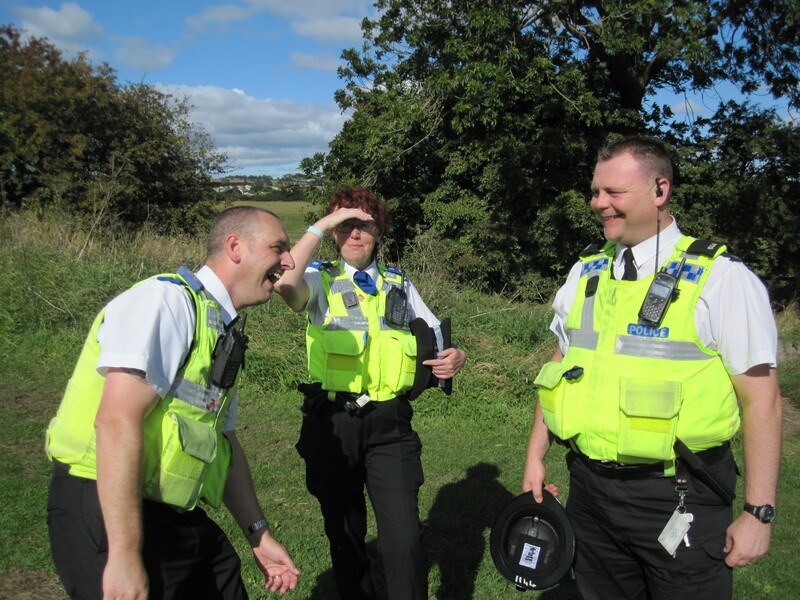 A special thanks must go out to the three Police officers who came along, this sort of partnership working is great for building a strong community. Also thanks to Jeff and Liz Gray who manned the fort and had delicious burgers cooked and ready for us getting back. Finally, a huge thank you to all Tue students, friends and families for giving up their mornings for the club. …now please get your sponsors in as soon as possible!